Flixton Conservative Club was named CAMRA National Club 2018 on Wednesday 28th February 2018. Following the fantastic achievement of coming in the top four clubs out of 28,000 clubs in the UK, it was announced on Wednesday by Keith Spencer that Flixton Conservative Club were the overall CAMRA Club winners for 2018. 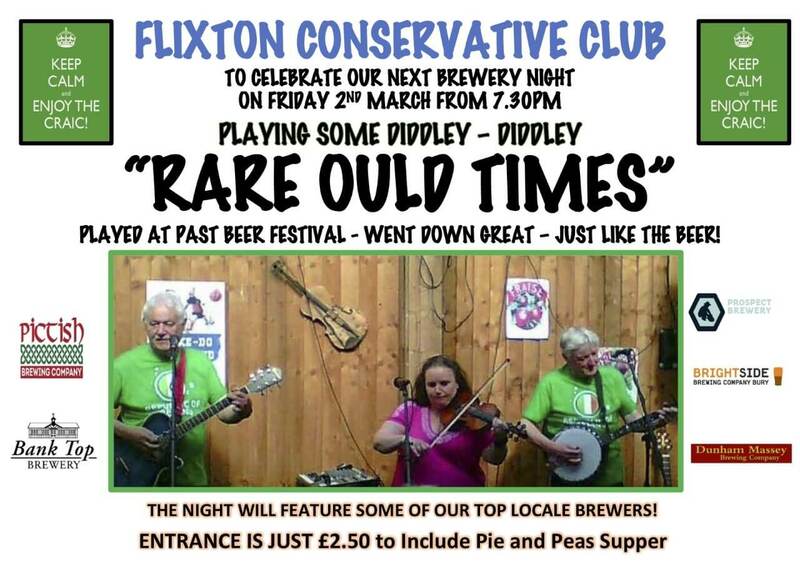 Flixton Conservative Club was named the country’s best club for its friendly atmosphere good beer selection and the involvement of the local community. Flixton Conservative Club steward Nigel Porter said: “This is really fantastic news, we are absolutely thrilled to be named CAMRA National Club of the Year especially given the very high standard of the other clubs in the final four. “There are a lot of excellent Clubs out there doing a great job so to be judged as the best in the country is just an immense privilege and we would like to thank both CAMRA and Club Mirror for this honour. “This really is a total team effort. The Club are very fortunate in having a very supportive committee, a friendly and knowledgeable bar staff and a great bunch of members who just show so much enthusiasm for everything we do. The quality of our real ale has been paramount to the success of the Club and a great deal of the credit for that needs to go to all the terrific brewers who supply us and support us in so many ways. Runners-up in the competition include two Royal Air Force Association (RAFA) clubs – the Albatross Club in Bexhill-on-Sea and the Real Ale Farm in Bargoed, Wales – as well as the Appleton Thorn Village Hall in Warrington. The CAMRA Club of the Year competition is run in conjunction with Club Mirror magazine. Our usual monthly Brewery Night features “Rare Ould Times” and beers from 5 local brewers. Entrance is still only £2.50 which includes Pie & Peas supper, members entrance without food only £1.00. Come and listen to some great “Diddly-diddly music” from a fantastic Irish Band.